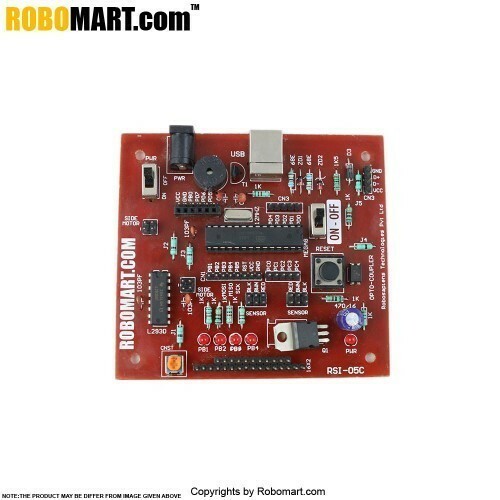 Atmega8 mini Robotics Development Board V4.0 is a complete starter kit and development system for the AVR Atmega8 microcontrollers from ATMEL ® Corporation. 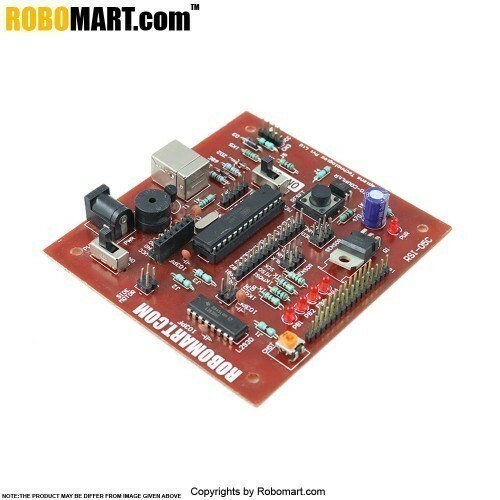 It is designed to give beginners a quick start to develop code on the AVR. 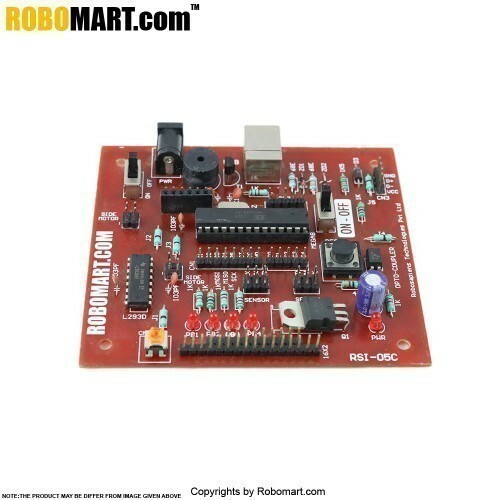 This kit is one of the most recent development kit for both student, developer and designer and also this board will be used in School, Diploma, B.TECH Projects. 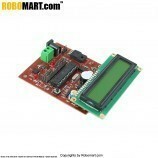 Product Image of Atmega8 Mini Robotics Development Board V4.0. 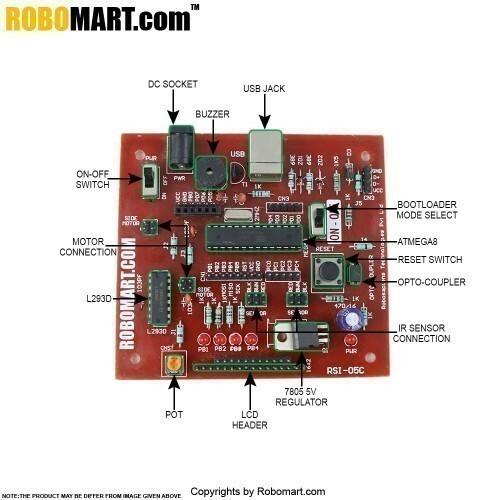 Features of Atmega8 Mini Robotics Development Board V4.0. 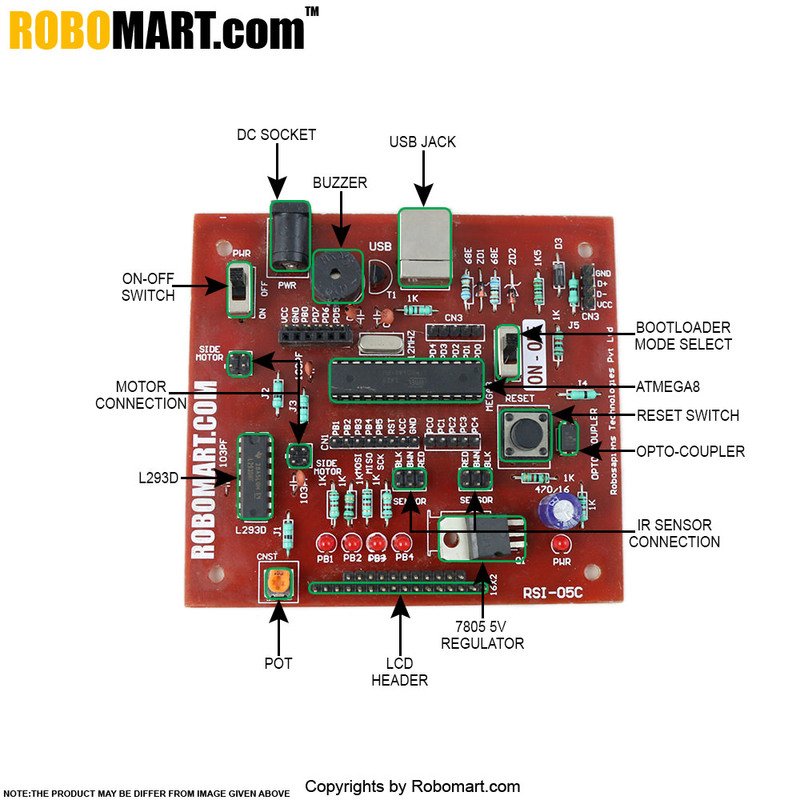 High-performance, Low-power Atmel®AVR® 8-bit Microcontroller. 8Kbytes of In-System Self-programmable Flash program memory. Power Consumption at 4Mhz, 3V, 25C. 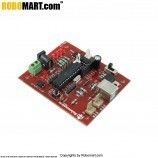 Project of Atmega8 Mini Robotics Development Board V4.0. Sound operated Home appliances control. Cell phone/Mobile operated Robotic car. Mobile operated Home appliances controlled. 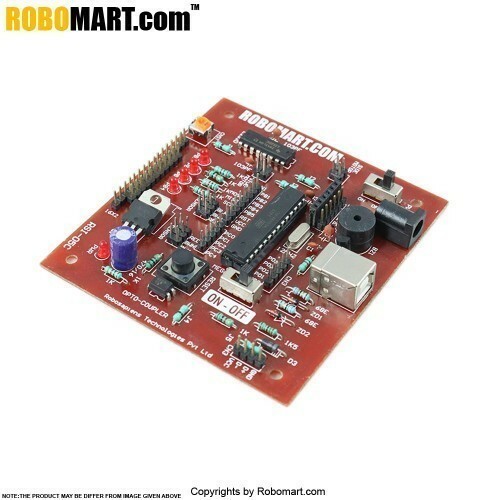 Also Searched as: atmega8 development board price in india, avr atmega8 development board, atmega8 development board price, atmega8 development board india, atmega8 development board diy, how to make atmega8 development board.